Is it starting to warm up where you live? Every time I think I’ve covered my plants for the last time this winter, another round of freezing weather comes in! But that hasn’t stopped me from noticing the fresh spring palettes that are appearing in the new collections of my favorite retailers. 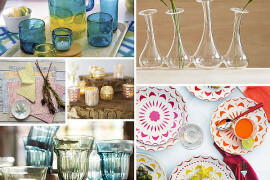 I’m dreaming of dinners on the patio, brunches at a colorful table, and happy hour drinks sipped from pastel glasses. 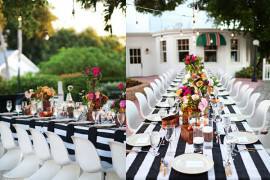 Yes–I have spring entertaining fever! 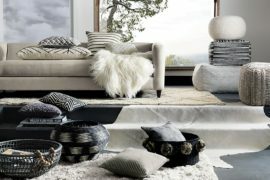 See the bold black and light grey geometric pattern below? Look a little closer at this Spectre Tablecloth from CB2, and you’ll see how half of the surface boasts the signature pattern, while the other half is grey. It’s a split-screen design effect, and it reflects some of today’s most popular styles. 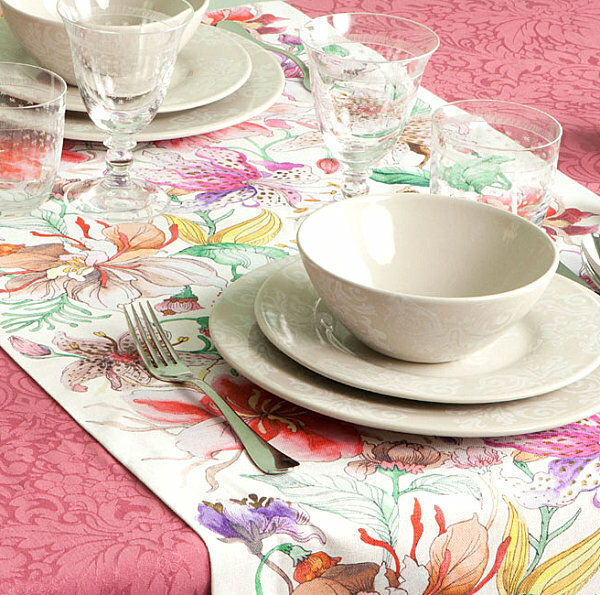 Embellish this tablecloth with colorful dishware, and you’re set for spring! Sometimes what you really need is a solid dose of color! 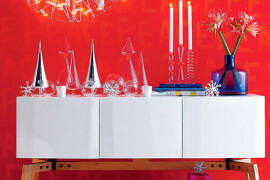 This season I’ve seen so many amazing graphic design patterns, fabric selections and dishes in edgy pastel shades. 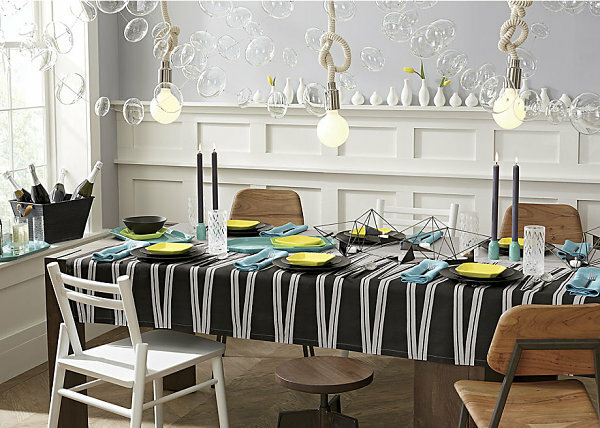 Don’t you think this Cotton Tablecloth from H&M Home would be the perfect backdrop for candy-colored tableware?! 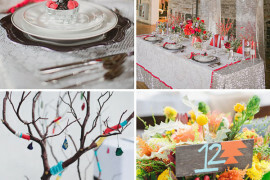 We can’t forget about the power of a table runner. 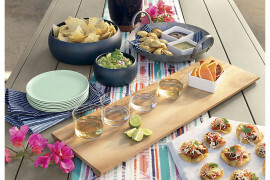 It anchors your centerpiece, enhances your table settings, and creates a “finished” look. This Flower Table Runner from Zara Home is perfect for spring. 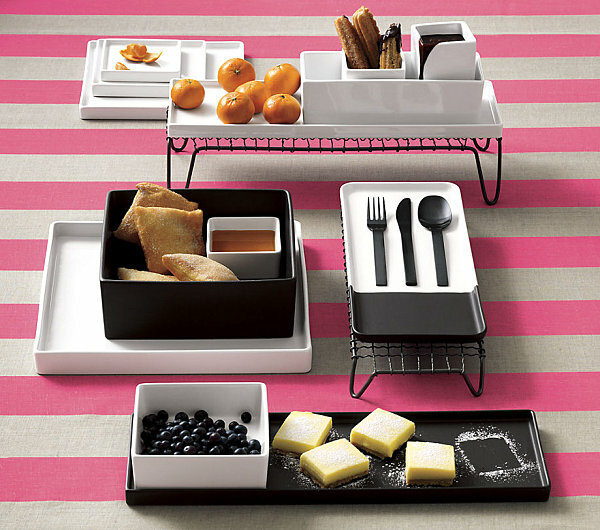 It can look vintage with the right dishware, but you can also give it a more modern look with contemporary tableware. 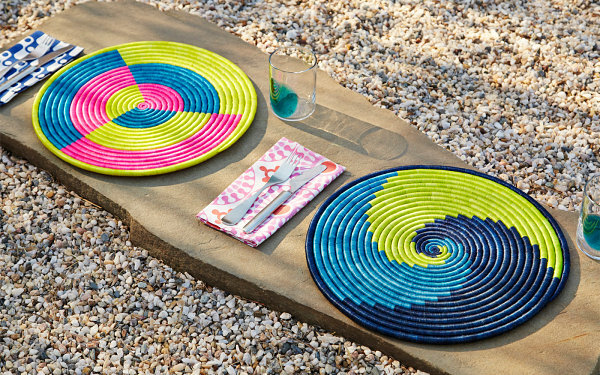 I think the pattern’s thick outlines give it a ’70s/’80s look that evokes a fresh, current vibe at the same time. 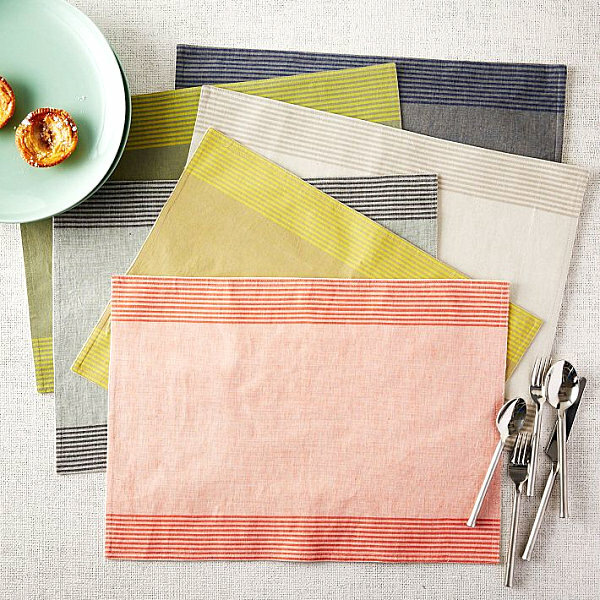 Today’s post wraps up with a trio of new napkin selections for spring. 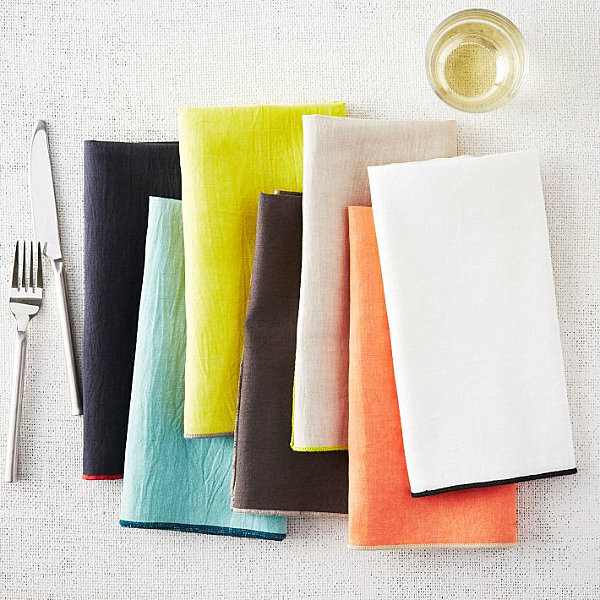 Solid hues are taken to a new level with this Border Stitch Napkin Set from West Elm. 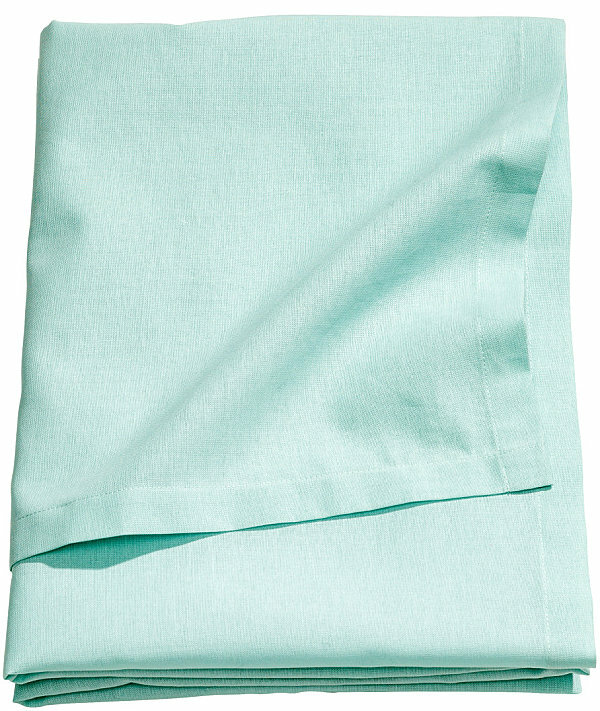 These pure cotton napkins are enhanced with a single stitch in a contrasting color. 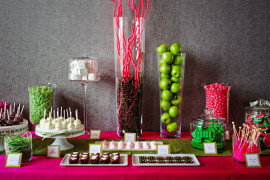 The palette is refreshing, colorful and sophisticated. Polka dots are classic and crisp. 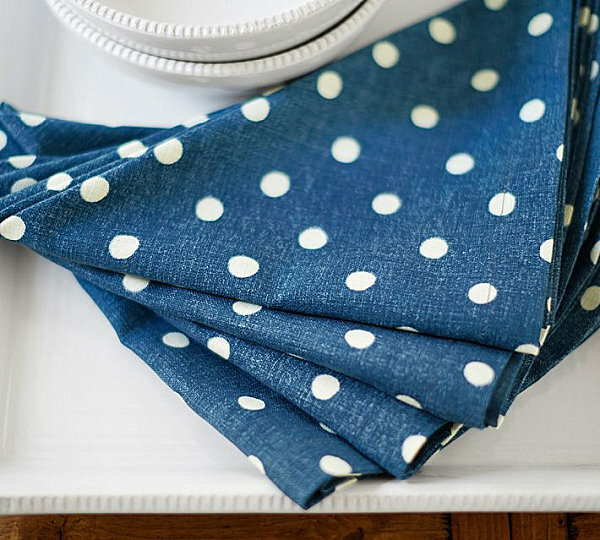 This Set of 4 Polka Dot Napkins from Pottery Barn is an ideal way to dress up an all-white table. 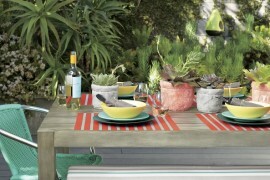 Not to mention, the nautical color scheme makes these table linens ideal for summer as well. 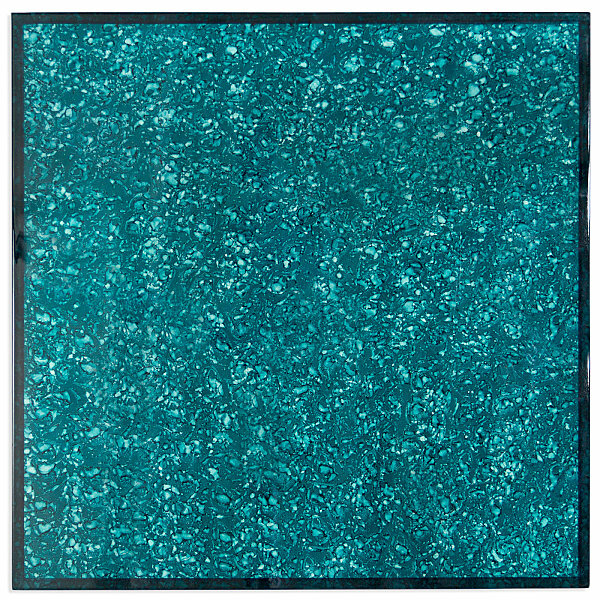 Accent them with vivid shades such as yellow or bright peach for an extra dose of radiance. 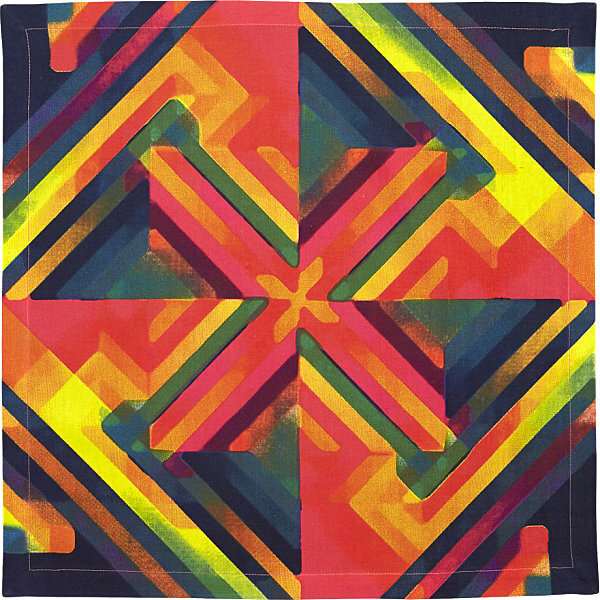 This X Marks the Spot napkin from CB2 features a kaleidoscopic pattern in ultra-bright shades of blue, green, yellow, orange and pink. 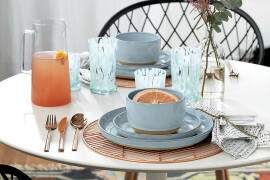 Diamond motifs create a geometric feel, while the striking color combination will make any spring dining experience an unforgettable one.